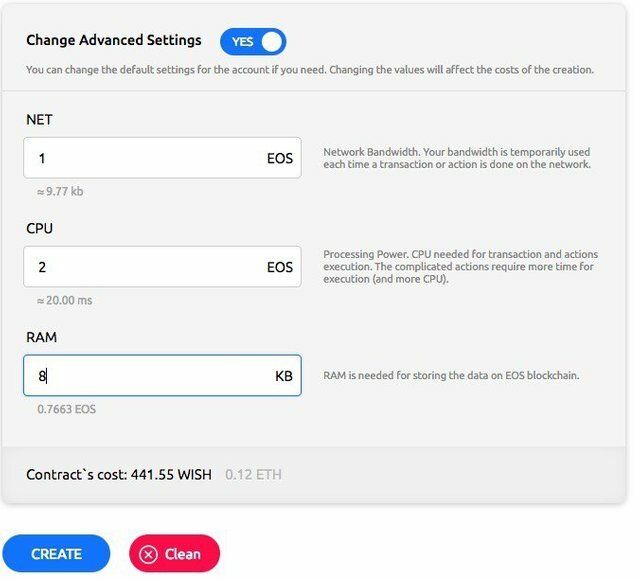 EOS account creation service was updated today. Now you can add resources during the account creation. Choose how much CPU/NET/RAM you need and create the account.